After your shower each day, check your body from head to toe. Look for cuts, sores, blisters, and ingrown toenails. Don't forget the places where moisture can hide and germs can grow. Check under your arms and breasts, and between your legs and toes. Look extra closely at your feet. Use a mirror to help you see all over. 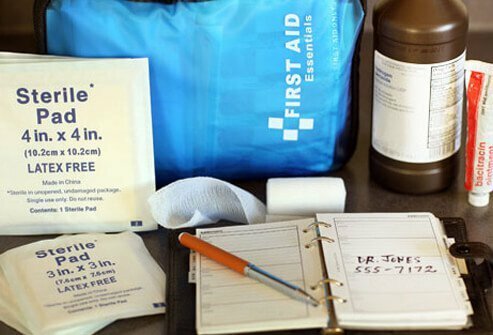 If you have cuts or scrapes, treat them quickly. Also, take a moment to moisturize dry skin. Make it easy to slip them on, so you aren’t tempted to go outside barefoot. Make sure your slippers or house shoes are handy, too. Even indoors, you need to protect your feet. Before you put your shoes on, check to make sure there’s nothing in them that you aren’t expecting, like a pebble that could nick your skin. You can also change shoes during the day to relieve pressure spots on your feet. 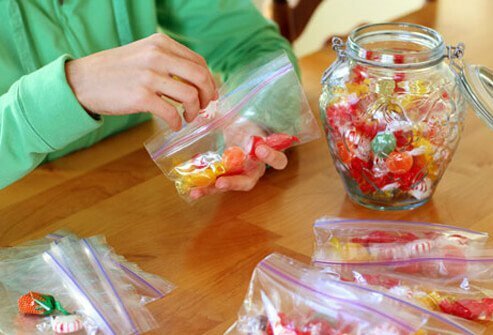 Put a few glucose tablets, or five or six pieces of hard candy, into baggies. Always carry a few when you go out in case you get low blood sugar, also called hypoglycemia. When blood sugar drops below 70 mg/dL, you can feel dizzy, hungry, or shaky. It can happen when you skip a meal, take too much diabetes medicine, or exercise harder than usual without eating. Your doctor will tell you how often you should test yours based on your disease, treatment, and other things. 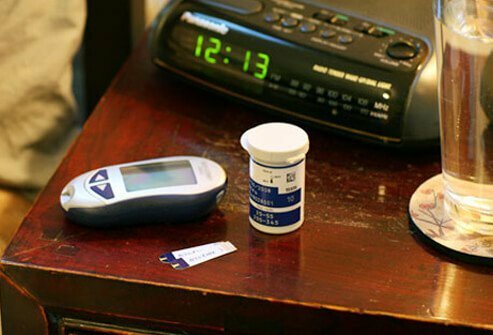 If he tells you to check first thing in the morning, put your glucose monitor on your nightstand to remind you. When you wake up, your blood sugar should be somewhere between 80 mg/dL and 130 mg/dL. 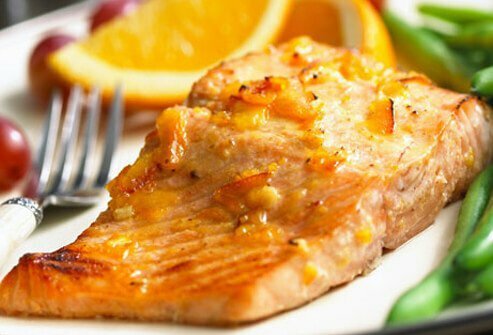 Within an hour or two after you start a meal, your target should be less than 180 mg/dL. Does your doctor say you should check your blood sugar when you work out? Make a reminder for yourself. To figure out how exercise affects your levels, test before and after you work out. These checks can make it easier to avoid dangerous drops. Let your doctor know if you’re always on the go and you don’t eat at regular times. She may recommend rapid-acting insulin or an insulin pump that delivers fast-acting insulin. It typically starts to affect your blood sugar within 5 to 15 minutes. It could make things easier. 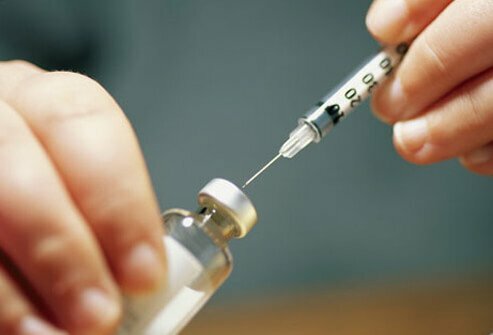 You can take this kind of insulin just before you eat. Or you can adjust the pump before meals or exercise. Print the American Diabetes Association's list of 10 super foods. These foods have a low glycemic index, meaning they're less likely to affect your blood sugar than bread or other foods. Post the list on your refrigerator so you see it when you make your grocery list, plan meals, or look in the fridge for something to eat. High blood sugar causes your body to lose fluid, and your skin can get dry. 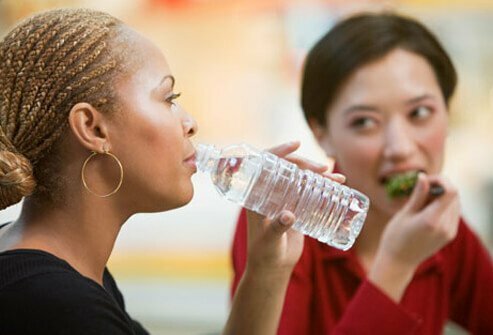 Drink plenty of water and other liquids to help your skin stay supple and healthy. It’s important to get at least 30 minutes of exercise a day to help manage your diabetes. Too busy? Break it up into three shorter spurts. Try 10 minutes of strength training in the morning. 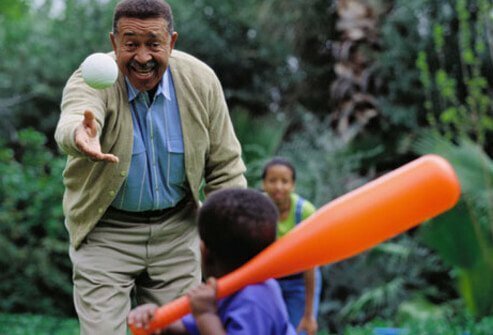 Play an active game with the family during the day, or take a brisk stroll at lunchtime. Then, walk your dog in the evening. This combo can help improve your blood sugar control and make heart disease less likely. If you have circulation problems or diabetes-related nerve problems (peripheral neuropathy), you may need to see a doctor or wound care center. Keep their phone numbers handy. 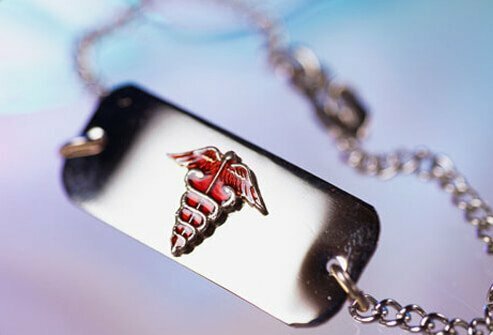 Put your medical alert bracelet or pendant near your watch, rings, or other jewelry you wear every day. This may help you remember to wear it. Or keep it near your toothbrush or keys. It’s smart to wear it to let people know you have diabetes, just in case you need emergency medical care. American Academy of Family Physicians, Family Doctor web site. Joslin Diabetes Center web site. National Institute of Diabetes and Digestive and Kidney Disease web site.